The shipping company R-Bulk KS, owned 75% by Centennial AS, owns and operates vessels in the bulker market. The company was acquired in December 2016, and Seven Seas Carriers is both partner in the company and the commercial manager of the ships. Seven Seas Carriers has great experience through operating a significant number of ships, all bulk carriers within the handymax segment. The technical manager of MV Bonas is Fleet Management Ltd.
Semi Open Hatch/Box Shaped 51.687 dwtHandymax. Semi Open Hatch/Box Shaped 50.800 dwtHandymax. Semi Open Hatch/Box Shaped 50.800 dwt Handymax. 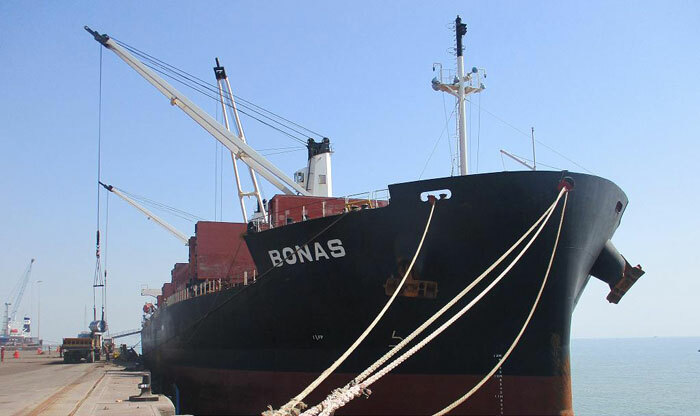 Recently, R-Bulk KS sold two vessels with great profit. The vessels sold were MV Radiance (42.529 dwt) and MV Rainbow (42.529 dwt), built in 1994. Centennial AS is one of the major shareholders, owning 18% in the company that has purchased the 11.260 dwt IMO II Ice-Class Product Carrier Meligunis M. The vessel is on a 8 - year bareboat charter.